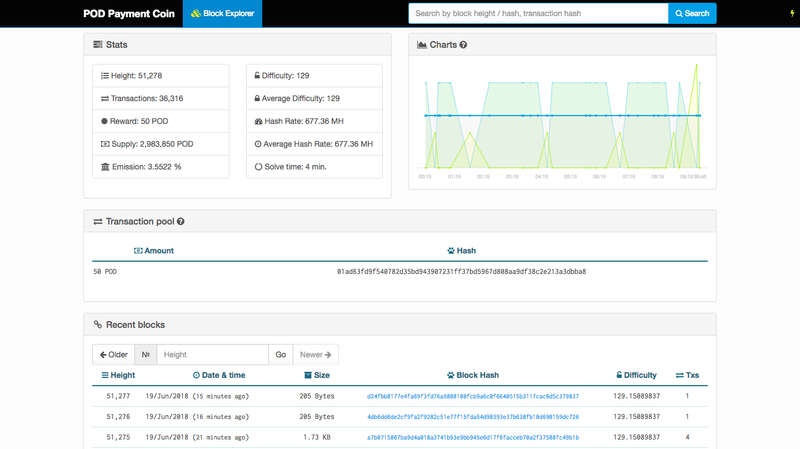 Our block explorer allows you to search and navigate through the entire POD Payment Coin blockchain. The online browser displays the contents of individual blocks and transactions. It is a fully open and transparent public ledger.